We are surrounded by signs! Everywhere you look there are signs. Because we’re sign enthusiasts we thought it would be cool to take a look at some of the most iconic signs around the United States and each state in particular. 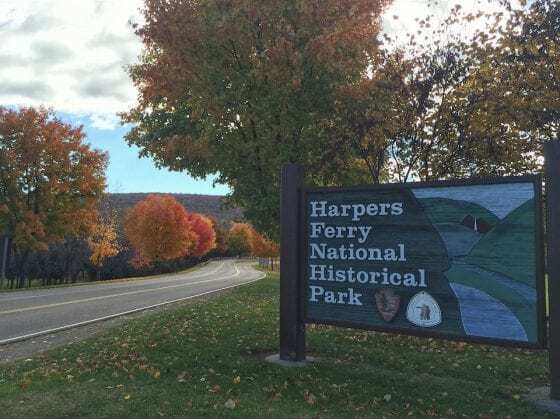 While we found many iconic and well known signs, we found just as many that are well known locally but are probably unknown on a national level. This doesn’t diminish their importance, it only makes it all the more fun to read about them! Some of these signs are tied to their famous landmarks and others stand alone. We think it’s a pretty cool way (in a geeky sign kinda way) to show the diversity of the country and hope you enjoy the most famous signs in each of the 50 United States. 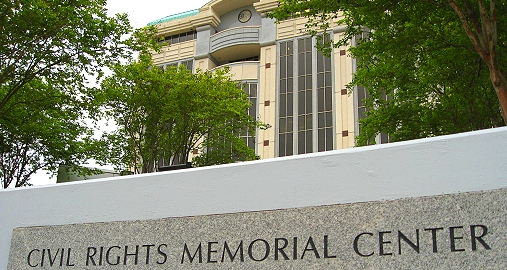 Dedicated in 1989, the Civil Rights Memorial in Montgomery is a sign/monument to those who gave their lives during the Civil Rights Movement that occurred in mid-1900s. There are 41 names on the memorial including Dr. Martin Luther King, Jr. The memorial is open to visitors 24/7 and tours are available during the day. Just like the sign above says, Ketchikan is known as the Salmon Capital of the World. It is also nicknamed Alaska’s 1st City and the Rain Capital of Alaska. Right on the ocean and surrounded by the Tongass National Forest, the area is filled with rivers and streams which are home to salmon who return seven years later to the same place they were born. One of the most unique natural landmarks in the United States is found in Arizona. It stretches up to 18 miles wide and a mile deep, it is the Grand Canyon. As shown in the sign above, the Grand Canyon is federally protected as a National Park. It was first established as a forest reserve in 1893 before becoming a national monument and then eventually named a National Park in 1919. According to the National Parks Service, the Grand Canyon has around 5 million visitors every year. 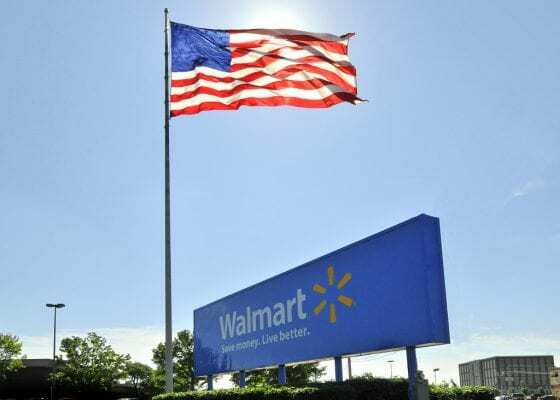 Although it is one of most recognizable signs in today’s world, the main Walmart sign is housed in Bentonville, Arkansas at Walmart headquarters. The first Walmart opened up in Rogers, AK in 1962 by founder, Sam Walton. In just over 50 years the company has gone from a small variety store to one of the most well-known and valued companies in the world. As of May 2016, Forbes valued Walmart at 215.7 billion dollars and #1 in sales. One of the most iconic signs in the United States is the Hollywood Sign just outside of Los Angeles, California. The sign is over 90 years old and has had quite a history. When it was originally put up in 1923 it was only supposed to last for a year and a half. After much wear and tear the sign found itself in need of repair in the 1970s. The residents who lived near the sign lobbied to protect the sign and it ended up becoming a monument in 1973. Once protected by law, a trust was created and money raised to protect the landmark. In 1978 a new version of the sign was unveiled. The sign is now maintained, protected, and stands as a unique view over the valley it sits atop of. 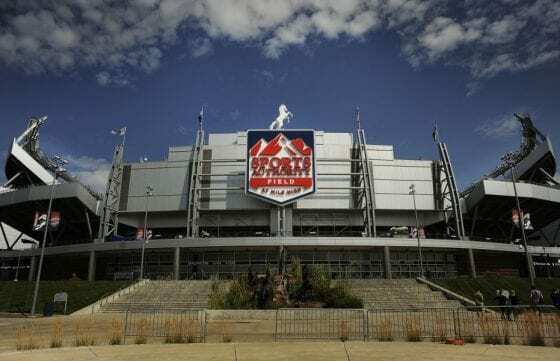 Although the official name of the stadium is currently Sports Authority Field at Mile High as shown on the sign, it is commonly referred to as Mile High Stadium or Mile High. The name is associated with the elevation of the stadium at 5,280 feet above sea level. The stadium is home to the NFL’s Denver Broncos football team and opened in 2001. The Broncos previously played 50 feet away in a stadium named Mile High Stadium which no longer exists yet the name has carried over to the new venue. The capacity for football is set at just over 76,000 but an additional 50,000 can be accommodated for events such as concerts. 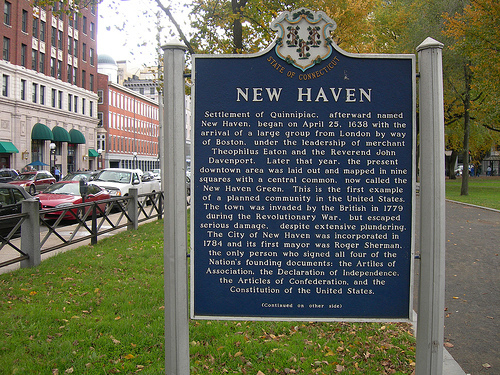 At stated on New Haven’s city sign, in 1638 it was first settled by a group of Puritans as Quinnipiac and later renamed New Haven. The town was invaded by the British during the Revolutionary War but received little damage. It’s first mayor, Roger Sherman, holds a unique place in United States history as the only individual to sign all of the major founding documents of the country including the Articles of Association, the Constitution, the Articles of Confederation and the Declaration of Independence. 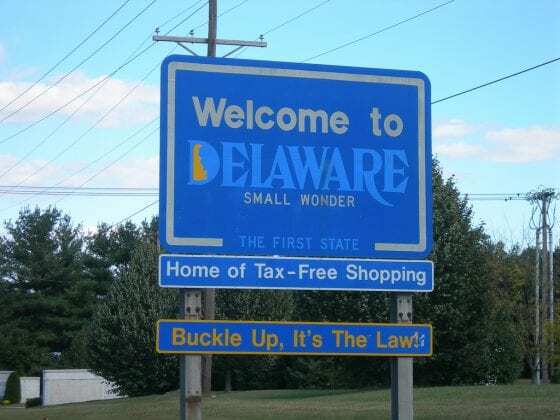 Just as the welcome sign to state reads, Delaware is nicknamed the First State. Delaware was the first colony out of the original 13 states to ratify the United States Constitution on December 7, 1787. Other nicknames for the state include Small Wonder, Blue Hen State, and the Diamond State. 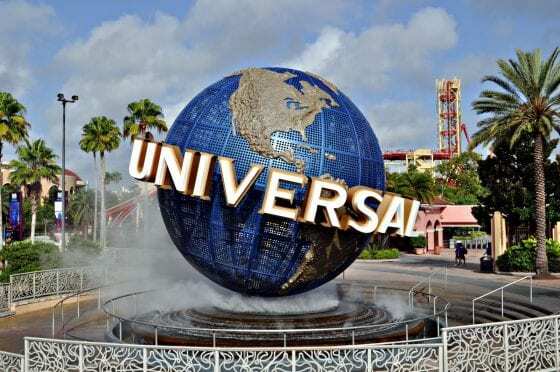 A popular vacation spot in Florida is Universal Studios Theme Park which is easily recognized by its entrance sign, a giant globe with Universal across it. Originally opened in 1990 the park has changed quite a bit over its 26+ years of operation. Original rides were created with help by famous movie man Steven Spielberg, including rides based on King Kong and Back to the Future. 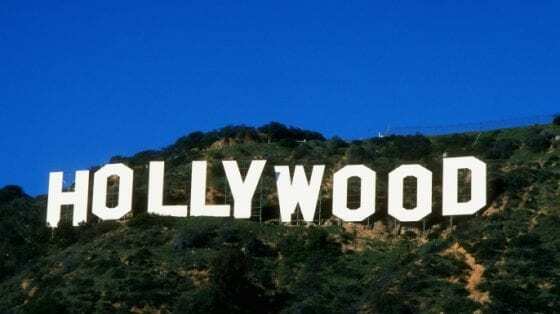 It is owned by NBCUniversal (Comcast) however it features popular elements of other movie studios including The Simpsons, Transformers, and Shrek. One of the newest additions to the park is that of Harry Potter. 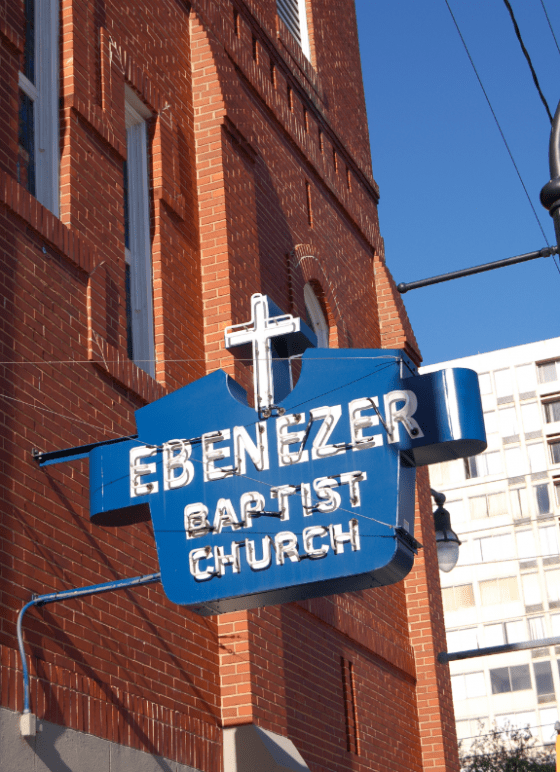 One of the top tourist destination of Georgia is the Ebenezer Baptist Church where civil rights activist, Dr. Martin Luther King, Jr. was a pastor. Dr. King’s relationship to the church goes back to his grandfather and father who were both pastors of the church as well. This is the place of Dr. King’s baptism, his ordination as a minister, and his funeral in 1968. It became a historical site in 1980 along with nearby buildings, including his childhood home, that were significant to his life. In 2001, the building underwent two phases of renovations to preserve the structure. One of these two phases included the lighting in the church’s sign which was turned on for the first time since 1990. 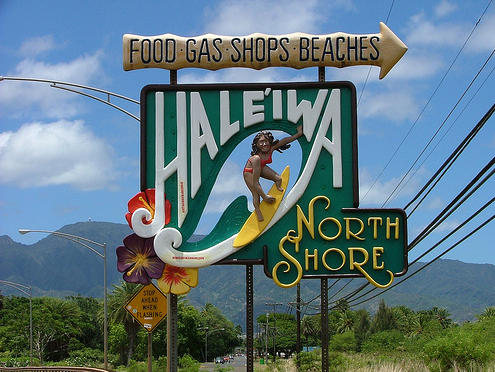 Hawai’i’s North Shore is one of the premier surfing destinations in Hawai’i and the island of O’ahu as depicted on the community’s entrance sign. It is also nicknamed the “surfing mecca.” According to the Hawaii Visitors and Convention Bureau more than 3.5 millions visitors visit North Shore during their trip to the state. Idaho is known for its famous potatoes. 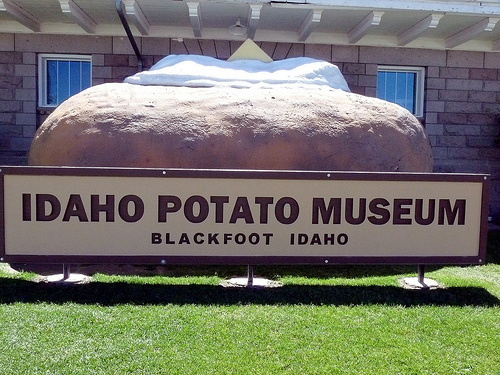 In Blackfoot, Idaho there is even a museum dedicated to the famous food. In front of the museum is a giant potato which happens to be the museum’s sign, a giant potato with butter and sour cream are included with any pictures. Inside the museum you’ll find the world’s largest potato crisp made by Pringles and be able to learn all the facts you never knew about taters. Wrigley Field is home to MLB’s Chicago Cubs baseball team. The ballpark was built in 1914 and is known as one of the most historic venues in all of sports. It is the oldest ballpark in the National League and 2nd oldest in Major League Baseball. It’s known for its ivy covered outfield wall and the iconic sign outside the main entrance. 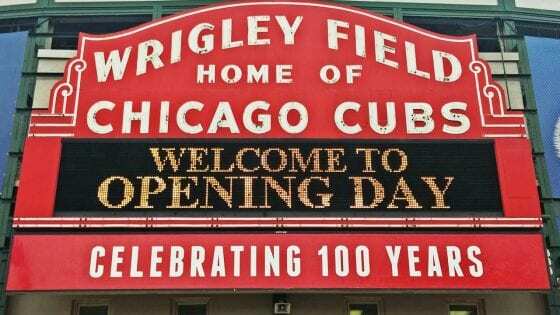 It’s named after famous Wrigley chewing gum company founder and former Cubs owner, William Wrigley Jr. If you were to play football in Notre Dame Stadium and walked from the home team’s locker room to the the tunnel on the field you’d pass through a stairwell that has a famous sign above it. 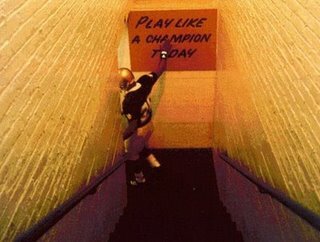 Since 1986 the Notre Dame football team has run onto the field and touched this sign that reads “Play Like A Champion Today.” The sign was placed there after former coach Lou Holtz came across a photo of the sign in a book and had a recreation placed in the stairwell. 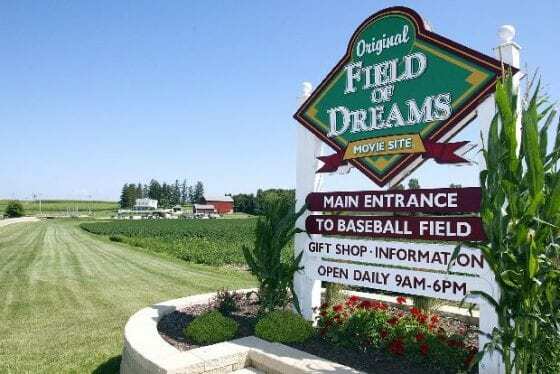 The 1989 Academy Award nominee film, Field of Dreams, has a special place in Iowa, the setting for the movie. The history of the film goes back to 1987 when a knock came to the door of farmer, Don Lansing, to gauge his interest in letting his farm be host to a movie production on a film about baseball. Over the next few months the Lansing Family Farm turned into a movie set and is now a landmark in Iowa for people to come and visit. Halfway between New York and San Francisco is Kinsley, Kansas nicknamed Midway USA. At the crossroad of U.S. 50 and 56 is placed a sign point in opposing directions listing both New York and San Francisco as 1,561 miles away. The nickname was earned in 1939 when Kinsley was featured on the cover of Saturday Evening Post with cars going in different directions referencing New York and San Francisco. 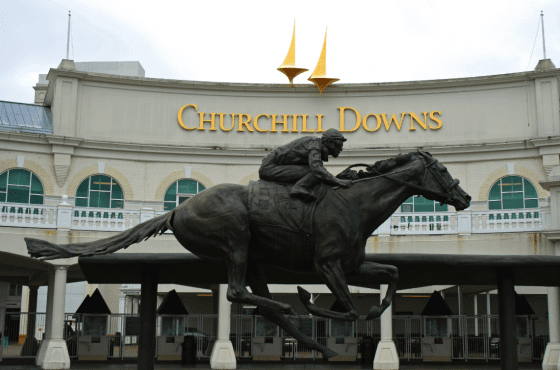 One of the most iconic signs in Kentucky features the name of the venue and is hung above one of, if not the most famous, horse racetrack in the world, Churchill Downs. Its history dates back to the late 1700s when the first race course was laid out in Lexington. But almost 90 years later was when Churchill Downs officially opened its gates and became home of the annual Kentucky Derby. In the middle of New Orleans’ oldest and famous neighborhood, the French Quarter, runs Bourbon Street. 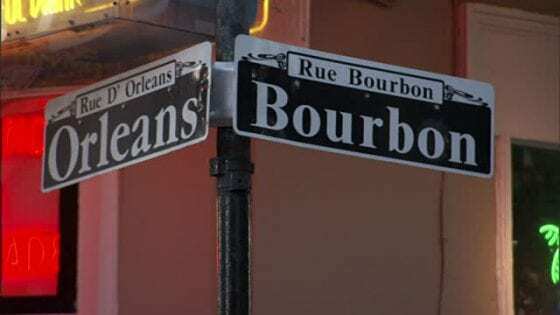 The street is also referred to on street signs with its French name, Rue Bourbon. New Orleans is one of the oldest cities in America and Bourbon Street dates back to 1798. The street is a hotbed for Mardi Gras, nightlife, bars, and tourists with its unique culture and French influence. 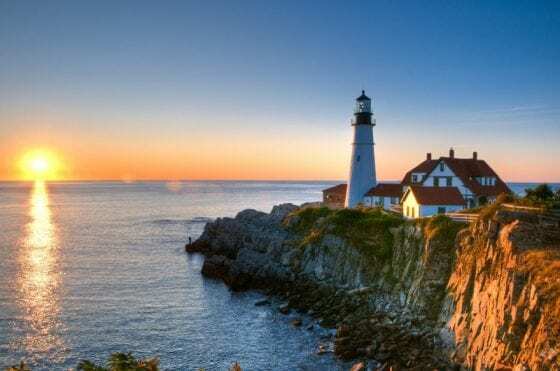 In colonial times the town of Cape Elizabeth, Maine put a group of soldiers at Portland Head to provide a warning system for any potential British attacks. In 1787 construction of a lighthouse began and Congress provided additional funds in 1790 for its completion. The lighthouse was lit for the first time in January 1791 and continued to be lit with oil lamps until 1989 when it became automated. During the Revolutionary War the citizens of Baltimore feared an attack from the British and quickly put up a fort. Although the fort was never attacked it led to the construction of a more permanent structure in 1809 known as Fort McHenry. In 1812 the United States went to war with Britain and in September of that year the British attacked the fort. 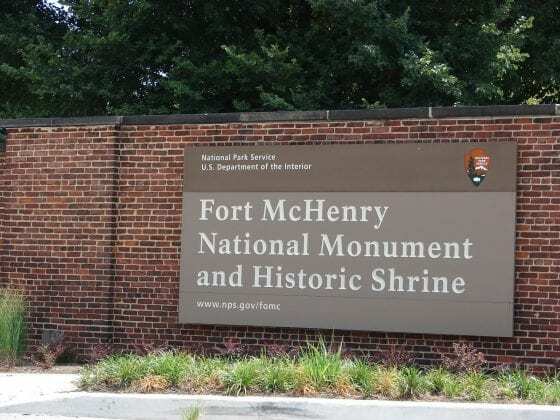 This attack resulted in the composition of “The Star Spangled Banner.” As shown by the sign, the fort was designated as a National Monument in 1939. In 1620 the first landing party of pilgrims landed in present day Plymouth, Massachusetts. 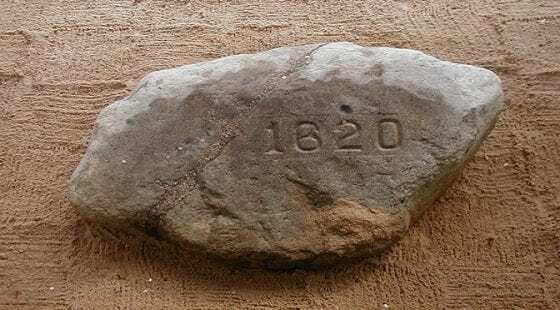 The traditional marking place of this event is a giant stone known as Plymouth Rock. There isn’t any historical evidence that this is the actual rock that the pilgrims first landed on. 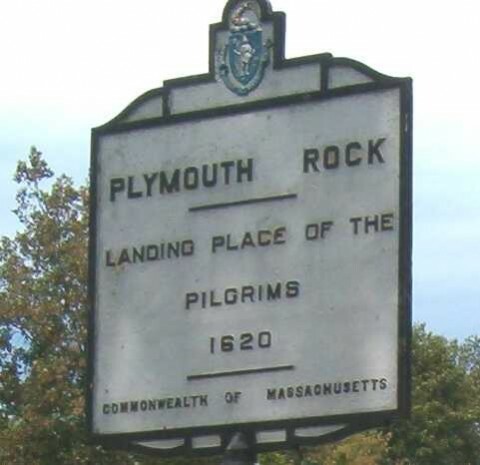 Although in 1741 there was a claim by a man named Thomas Faunce who was 94 at the time, that his father who first came to Plymouth in 1623 assured him that the rock was indeed the exact location of the pilgrims’ landing. The stone has endured hundreds of years of damage and is estimated to be ½ the original size but it still can be sign as a sign with 1620 carved into it as shown above. The Motor City is known for the vehicles it has produced over the last 100 years. 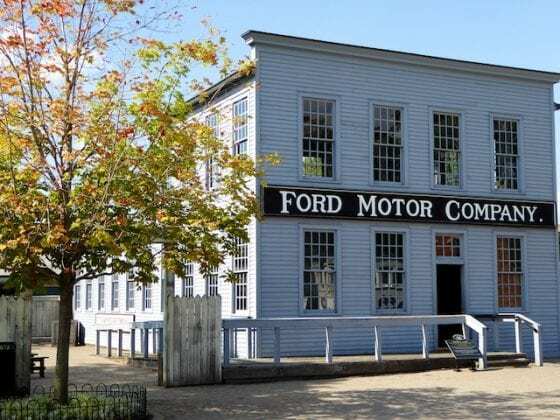 In 1903 Henry Ford created the Ford Motor Company in Detroit. From its beginnings of the Model A to the Model T to the Mustang, the company has lasted as one of the largest family owned and operated businesses in the world. Although the company quickly outgrew its original factory and moved to bigger facilities, the Mack Avenue plant is still a historic icon. 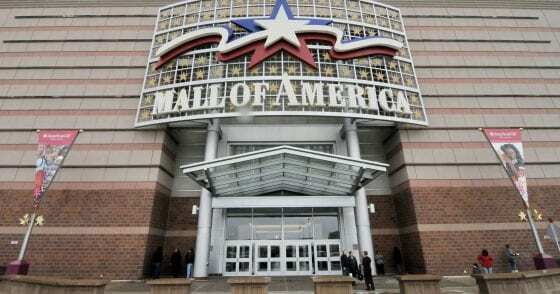 One of the most famous tourist spots in Minnesota is the Mall of America, the largest mall in the United States. The mall was built starting in the late 1980s and first opened its doors in 1992. It resides on land that previously hosted the Metropolitan Stadium for football and baseball before it was demolished in the ‘80s. The mall is home to more than 500 stores and brings in over 2 billion dollars of revenue every year. Under the iconic entrance sign more than 40 million visitors walk through doors into the mall every year. There isn’t one particular sign that should be focused on in Mississippi, but rather a group of signs. 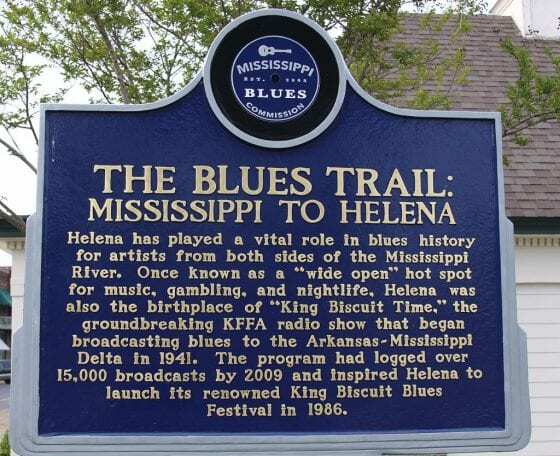 On the Mississippi Blues Trail you’ll find markers that share stories and photos of musicians that have had an impact on that particular genre. The majority of these markers are found throughout the state although the trail has extended to a few spots out of the state as well. What first began in the 1930s as the Jefferson National Expansion Memorial under the National Park Service has led to an iconic part of St. Louis. 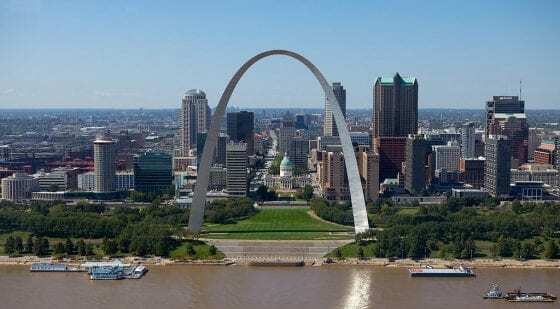 The Gateway Arch was formed in the 1960s from the idea of a memorial to help revive the area and remember the nation’s expansion westward. 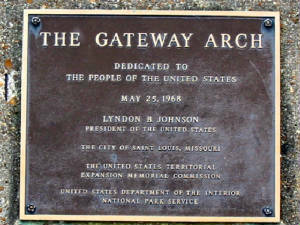 The Gateway Arch as shown in the plaque was dedicated by President Johnson to the American people. 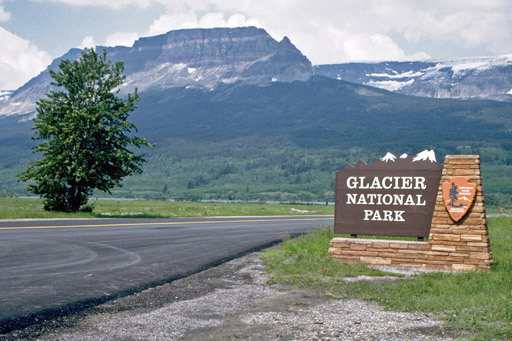 Along the top border of the United States in the state of Montana and continuing into Canada is the 10th U.S. National Park, Glacier National Park. Behind the park’s entrance sign you can see the snow-filled mountain peaks which are home to massive glaciers. Although the park received its protected status in 1920 there is evidence of human interaction with the park going back 10,000 years ago. There are currently 25 active glaciers in the park. 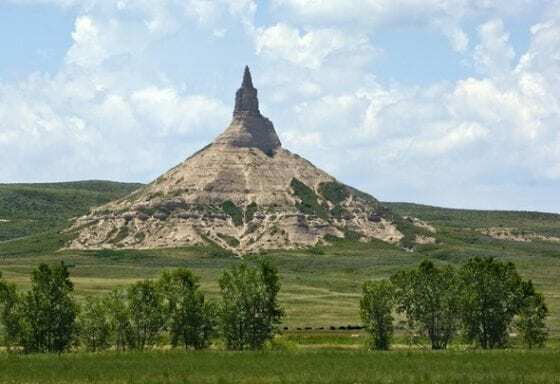 Nebraska is home to one of the most iconic and famous landmarks on the trails used during westward expansion in the United States. 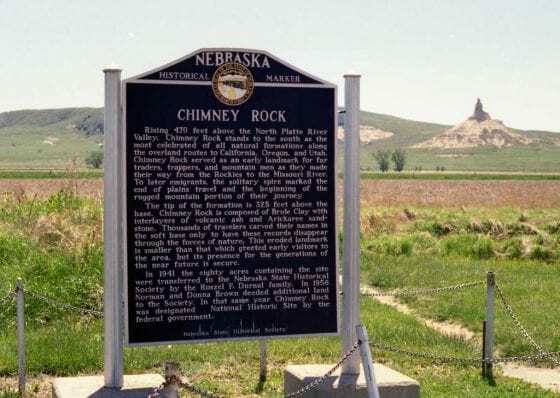 Chimney Rock is found on the edge of the North Platte River Valley and is is easily recognizable and seen for miles around. It became a national historic site in the mid-1950s. The rock pillar rises up 325 feet from its base and is made from volcanic ash and clay dating back over 20 million years. 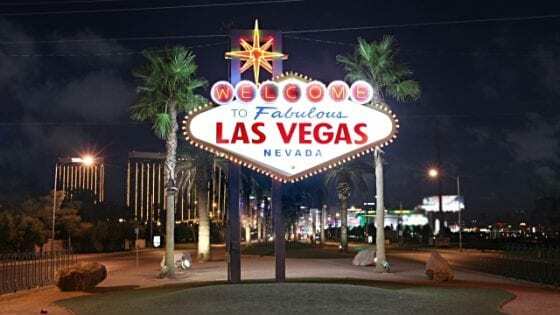 Driving North on Las Vegas Boulevard towards the Vegas strip you’ll be sure to pass by the iconic “Welcome to Fabulous Las Vegas Nevada” sign. Interestingly, the sign isn’t within the city limits of Las Vegas but rather the city of Paradise. The sign was designed by Betty Willis and placed in 1959. The design was never copyrighted and is now public domain, so you’ll see the design on many souvenirs. The original sign was replicated twice in other parts of the city and another time for a nearby airport. People are able to own an actual souvenir from the sign and purchase a lightbulb with all proceeds going to charity. 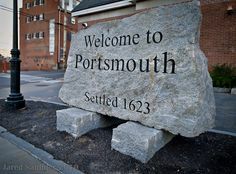 Portsmouth prides itself on being one of the three oldest cities in the United States. It was first settled in 1630 and became a town in 1653. 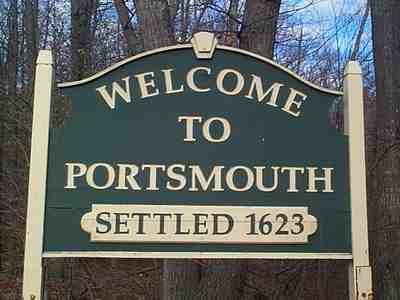 The town was a refuge for exiled Puritans out of Massachusetts. Paul Revere rode up to Portsmouth to warn that the British were coming in the middle of the 1770s. The father of the American Navy, John Paul Jones, had his ship built in Portsmouth as well. 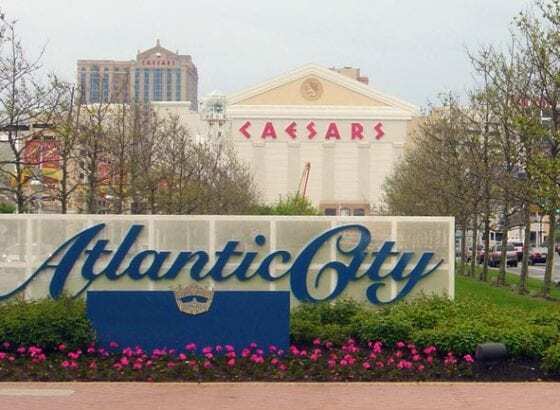 Atlantic City, New Jersey is a prominent vacation spot for people in the Northeast as well as tourists from across the country. 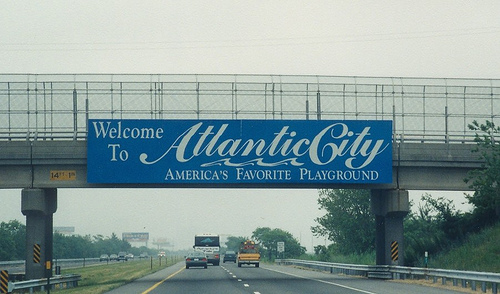 The first boardwalk in America was built in Atlantic City. The city located on Absecon Island quickly became a popular destination in the 1800s after the boardwalk was built. People would come to the beaches and luxurious hotels. In the middle of the 20th century the popularity died down until the late 70s when gambling was introduced and revitalized the area. 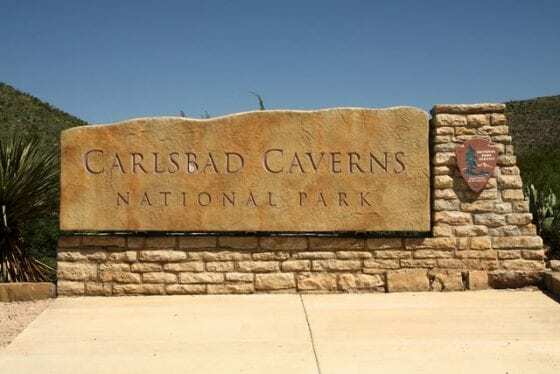 Carlsbad Caverns is one of the most famous caves in the United States. It became a National Park in 1930. The caves’ main cavern is more than 30 miles in length, 3 of which are open to visitors of the cave. The park itself is 73 square miles and includes 83 individual caves. New York is home to many popular and iconic landmarks. One of the most recognizable landmarks is the Radio City Music Hall and its bright neon sign. The music hall was built in the early 1930s and has been home to many events throughout its life. 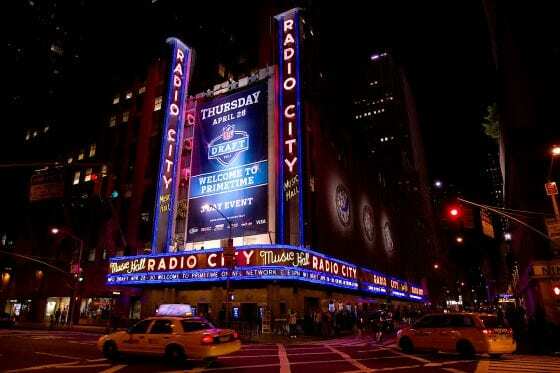 Some of those events have included the Grammy Awards, Tony Awards, MTV Music Awards, and NFL Draft. The hall has a capacity of just over 6,000. The most famous sign in North Carolina is the birthplace of flight. 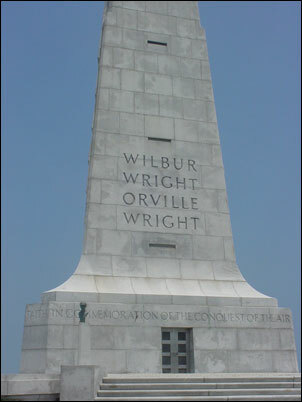 A giant tower at Kill Devil Hills has the names of the Wright Brothers, Wilbur and Orville, carved into stone. The brothers came from Dayton, Ohio for the steady winds and experimented with airplanes for 4 years until the first successful airplane flight took place on December 17, 1903. Another famous National Park is Theodore Roosevelt National Park in North Dakota. 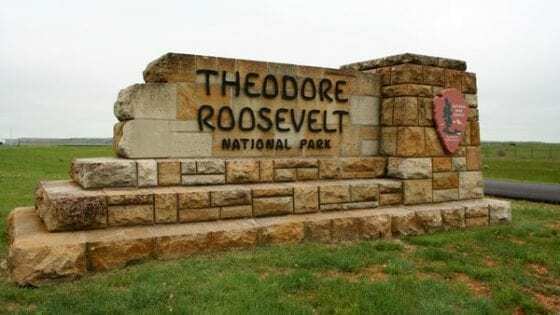 Although it became a national park in the last 1970s it was previously named Theodore Roosevelt National Memorial Park by President Truman and was the only national memorial park ever created. The park is named after President Theodore Roosevelt who visited the area throughout the late 1800s and enjoyed his frequent hunting trips there. With all due respect to the Rock and Roll Hall of Fame, All-Star basketball player, LeBron James was born in Akron, Ohio and has had the sports world’s eyes on him since we was in high school. He was drafted into the NBA by his hometown team, the Cleveland Cavaliers in the early 2000s and play there until 2010 when he left to play with another team in Miami, FL. However, he returned to the Cavs a few years later in 2014. 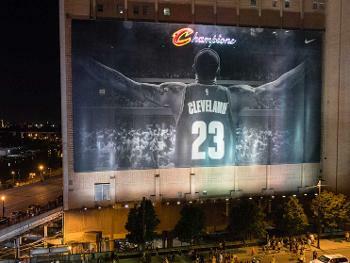 A giant billboard was placed in downtown Cleveland by Nike with LeBron covering the entirety of the sign. Following the 2015-16 season the Cavaliers won the NBA championships and the word “Champions” was placed across the top of the billboard. It was the state’s first professional team championship since 1964. Frequently used in songs, movies, and popular culture, Route 66 is a well known road running from the Midwest to the Western United States. 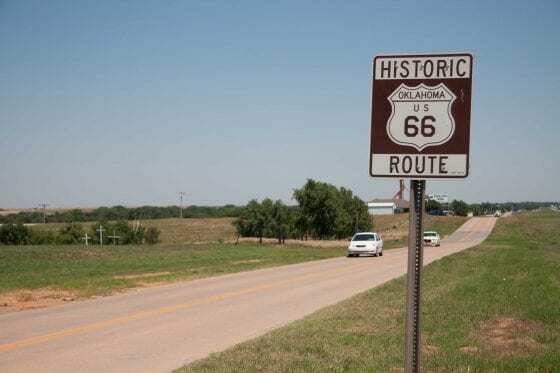 The longest stretch of this iconic street runs through over 400 miles of Oklahoma. 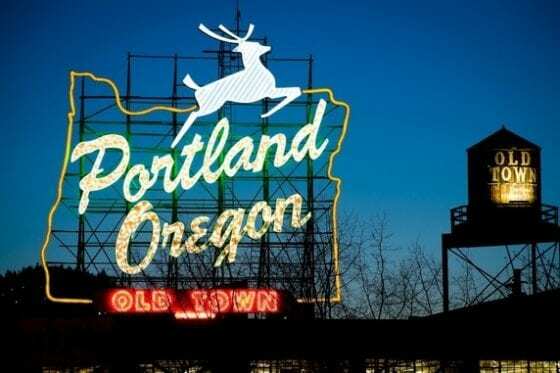 In Portland during the 1950s the owner of the White Stag Sportswear company was asked by his wife if he could do something special for Christmas to the sign atop the roof of their manufacturing building. 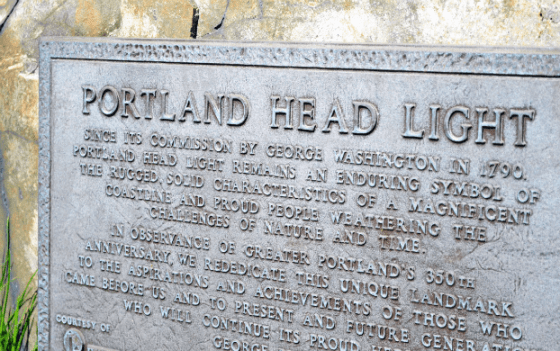 The sign was made of neon and displayed a White Stag, the company logo, inside of a border resembling that of the state of Oregon. Her idea was to add a red nose to the sign for the holiday season and have it look like “Rudolph, the red-nosed reindeer.” Although the sign has changed over time the holiday tradition continues. Pennsylvania is a state full of rich American history dating back to the colonial era and the foundation of the United States as an independent country. 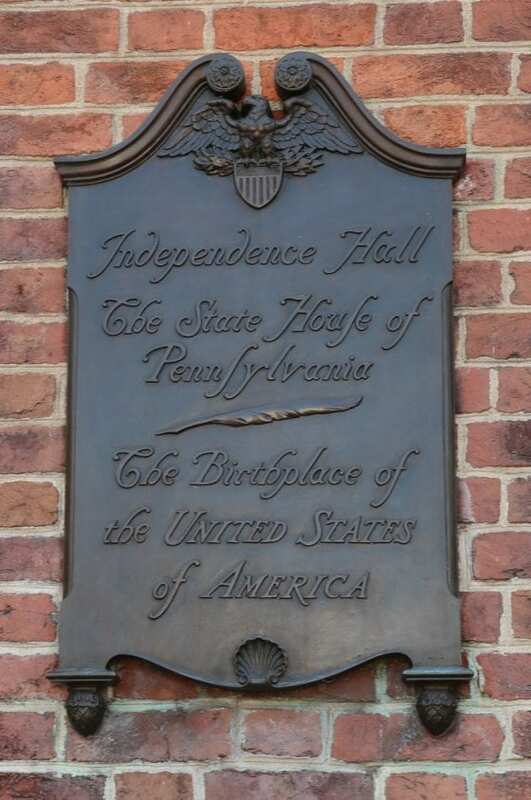 A plaque outside of Independence Hall shows why that building is one of the most famous of any in the United States. Originally built as the Pennsylvania State House, Independence Hall’s construction began in 1732. 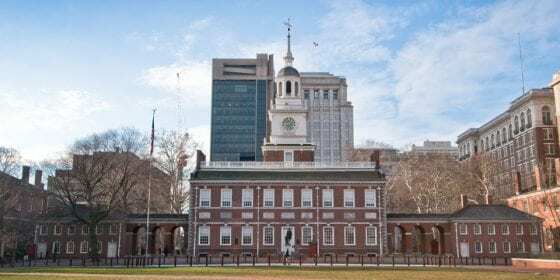 It is commonly known as the birthplace of the United States as it was the location where the Declaration of Independence was adopted and where the Constitution was signed. 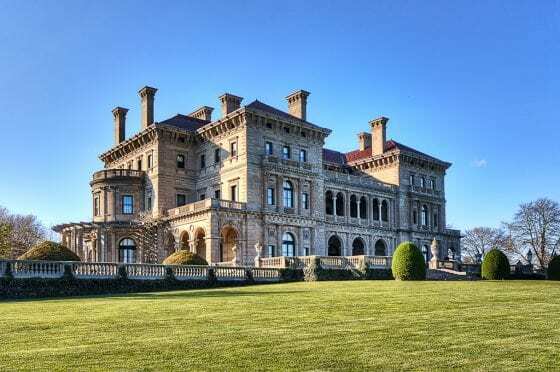 On the Rhode Island coast there lies the famous Newport Mansions. 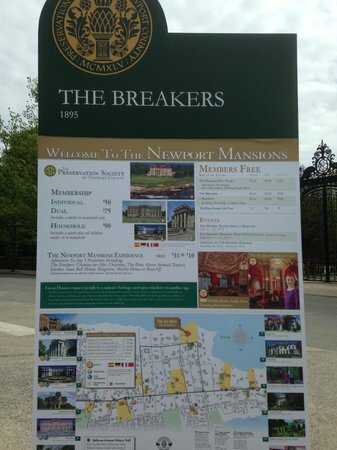 The most well-known of which is The Breakers. The mansion ties back to the Vanderbilt family who established fame and fortune in steamships and the New York Central Railroad in the 1800s. The structure has 70 rooms and is over 125,000 square feet. It is now a National Historic Landmark managed by the Preservation Society of Newport County. 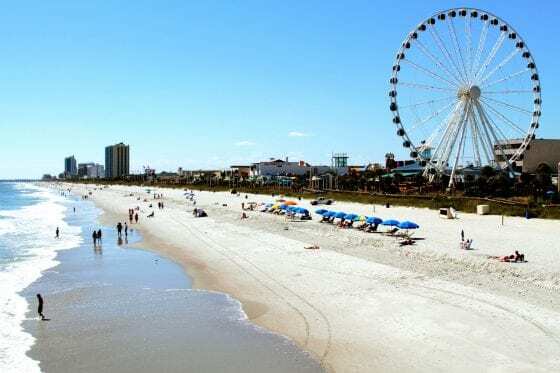 A famous vacation spot on the East coast is South Carolina’s Myrtle Beach. 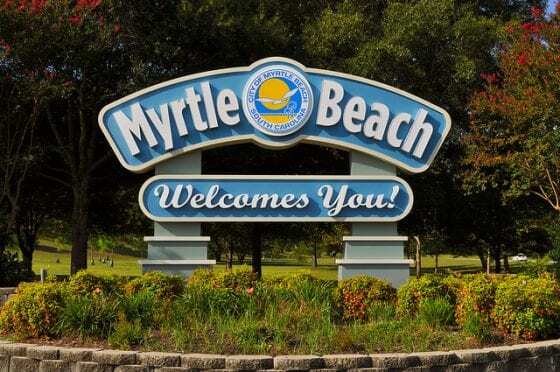 In 1900 the first trains began running to Myrtle Beach which was known as New Town. Fourteen years later the first road was created and in 1938 the city was incorporated. The first golf course was built in the late 1920s. Myrtle Beach has been a popular tourist attraction for both in-state and out of state visitors ever since. 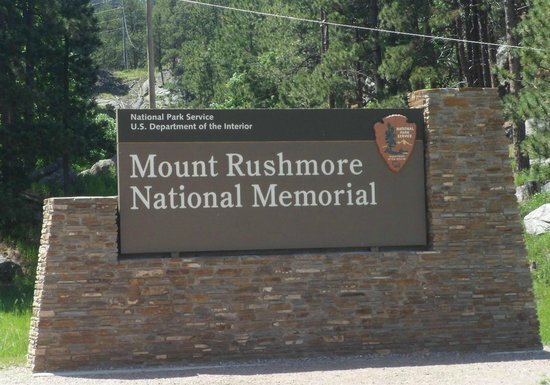 A prominent American landmark and something South Dakota is known for is the Mount Rushmore National Monument. The construction on the mountain took place for 14 years from 1927-1941. 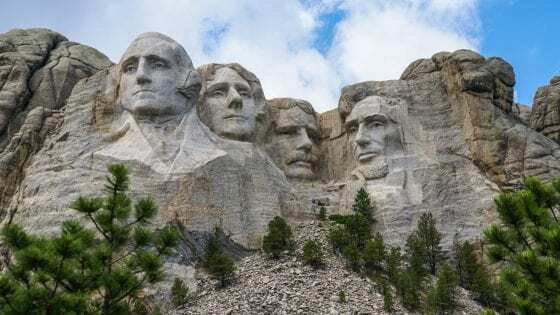 The majority of the carvings of the 4 U.S. Presidents, Washington, Jefferson, Roosevelt, and Lincoln, took place using dynamite explosions. During its construction there wasn’t a single fatality from the project. The monument stands as a historical site for visitors to come and visit throughout the year. Tennessee’s most famous sign is the posted at the entrance to the house of “The King” himself. The king of rock ‘n roll that is, Elvis Presley. 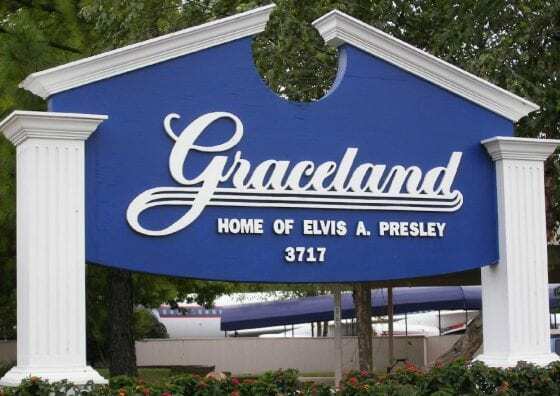 Graceland was home to the legend of music and once was part of a 500 acre farm. Elvis purchased the property in 1957 for around $100,000. 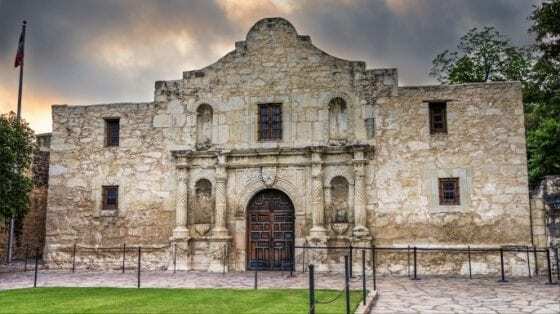 The Alamo in San Antonio is known for the famous Battle of the Alamo which took place in the early 1800s during Texas’ war with Mexico for its independence. Defenders of this famous fort included frontiersman Davy Crockett. 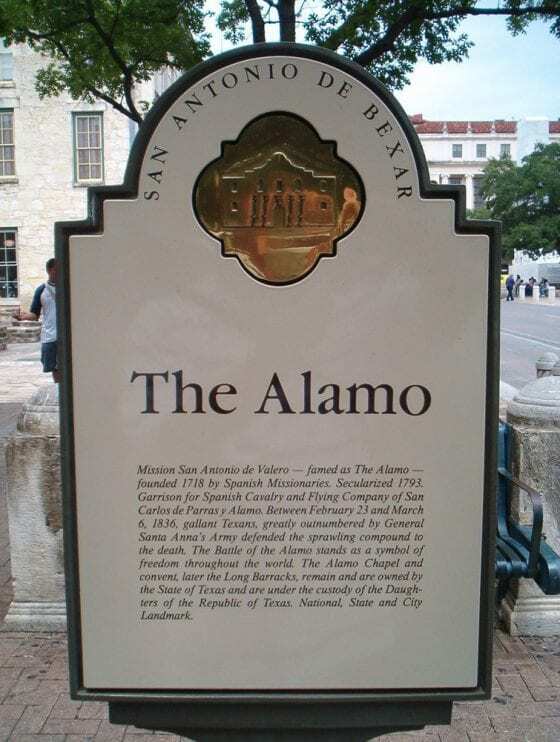 In 1845 the United States annexed the state of Texas and the Alamo is now a tourist attraction. In the mid-1800s the Mormon pioneers moved westward and ended up in Utah. 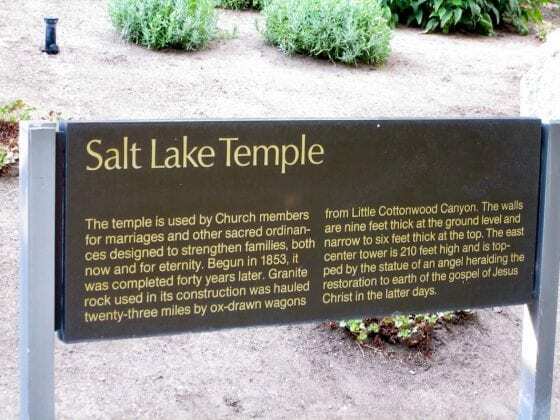 While settling the land they built a religious temple that has become synonymous with Salt Lake City. 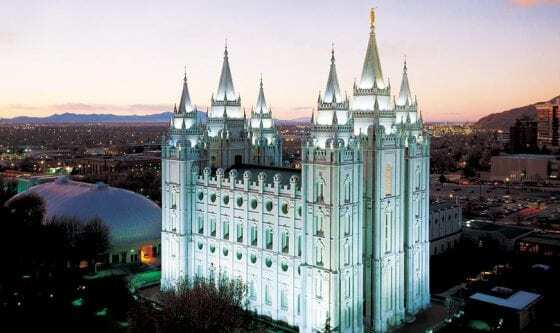 The Salt Lake Temple took 40 years to construct and is built out of granite from nearby mountains. The block on which the temple was constructed is known as Temple Square and houses 2 visitors centers. 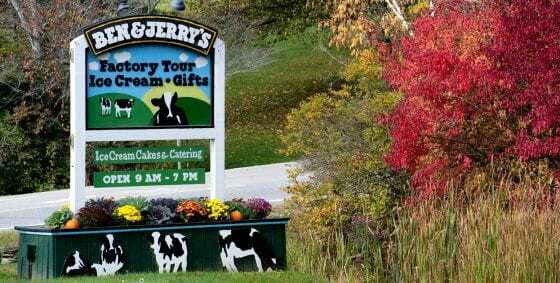 Vermont is home to one of the most famous ice cream brands in the United States, Ben & Jerry’s. The factory is open to the public 7 days a week year round. Tourists can take 30-minute guided tours to learn about the ice cream creation process. The factory also has a gift shop. 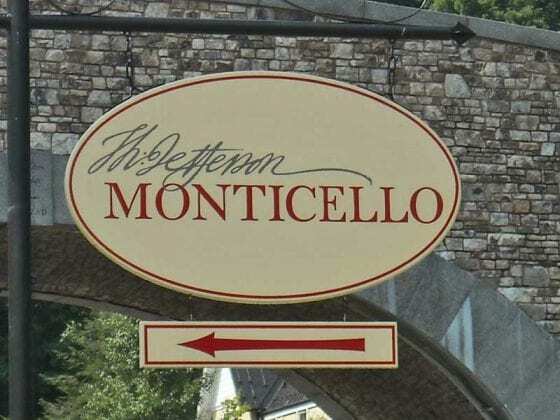 Thomas Jefferson, the 3rd President of the United States and one of the most famous residents of Virginia, lived at the now National HIstoric Landmark, Monticello. For over 40 years Jefferson tweaked and modified the structure and residence based on different architectures he discovered. Since 1923, the Thomas Jefferson Memorial Foundation has managed the property for visitors to come and experience. 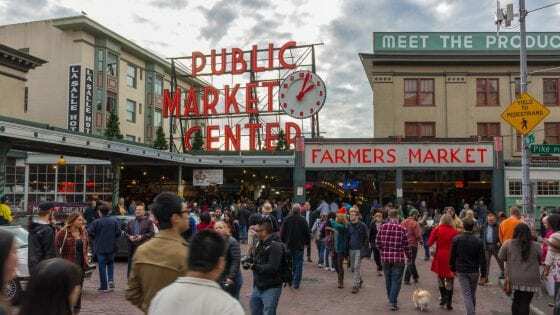 Seattle’s seaside economy is home to the tourist attraction and famous market, Pike Place Market. Sitting above the streets of the market is a massive neon sign, an iconic piece of the area. The market is a popular area for produce, crafts, and other goods. The famous fish throwing is also a popular thing to see at the market. 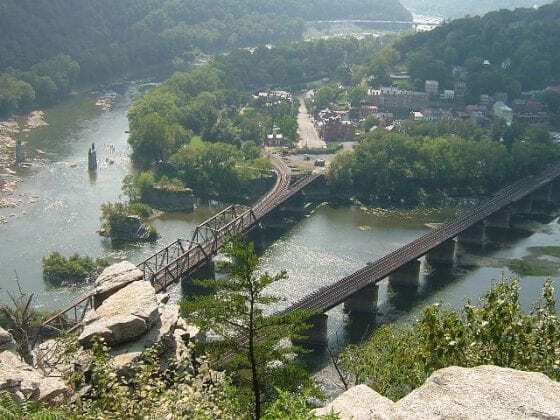 Near the Shenandoah and Potomac rivers lies Harpers Ferry. It’s fame comes from being a target during the American Civil War during the mid-1800s. The federal arsenal was the stronghold of abolitionist, John Brown against Colonel Robert E. Lee. The home of the NFL’s Green Bay Packers is Lambeau Field. It first opened in 1957 and has a current capacity of over 80,000. The Packers are one of the most popular teams in American sports and have fans all over the country. But one of the things that makes Lambeau Field unique is that the stadium is owned by the City of Green Bay. Yellowstone spans multiple states but the majority of the National Park is located in Wyoming. 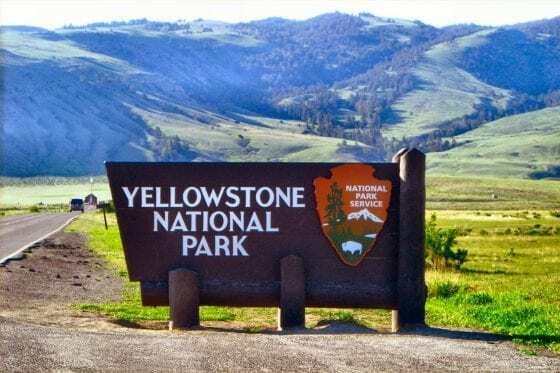 96% of Yellowstone is in the Equality State, Wyoming. It was the first National Park ever created in the United States and received its status in 1872. The park is well-known for it’s variety of wildlife and the famous “Old Faithful” geyser. We hope you’ve enjoyed your tour around the ever scenic and historic United States of America. If you’re in need of custom signs, of far less historical significance (at least initially) let us know and we’d be happy to help!